On Feb. 26, 19 of Belmont’s fourth-year pharmacy students participated in the annual “Interprofessional Team Geriatric Case Training,” an event that ensures health professional students develop skills for working in interprofessional teams, at Meharry Medical College. This is the fifth year Belmont’s College of Pharmacy has been involved in the event. This experience allows students to develop interprofessional collaborative skills by working as a team on a geriatric case and developing a patient assessment and treatment plan. Faculty experts are available to consult with teams, and students are assigned to observe and rate team dynamics. The program concludes with an interactive general assembly where an interdisciplinary expert panel provides feedback and answers questions. Students receive a certificate for participating in the event. 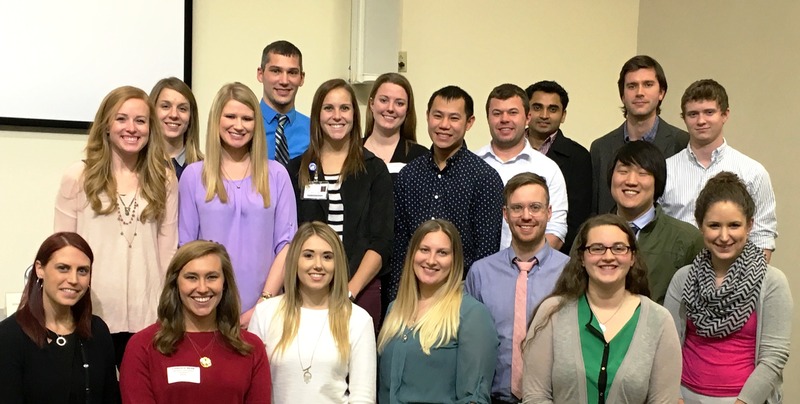 Nearly 400 students studying health disciplines from several local institutions served as members of the interprofessional teams. In addition to pharmacy students from Belmont and Lipscomb Universities, medical students from Meharry, dietetic interns from National HealthCare Corporation and Vanderbilt University, physical therapy students from Tennessee State University (TSU), social work students from TSU and University of Tennessee and family nurse practitioner students from TSU also participated in this event.